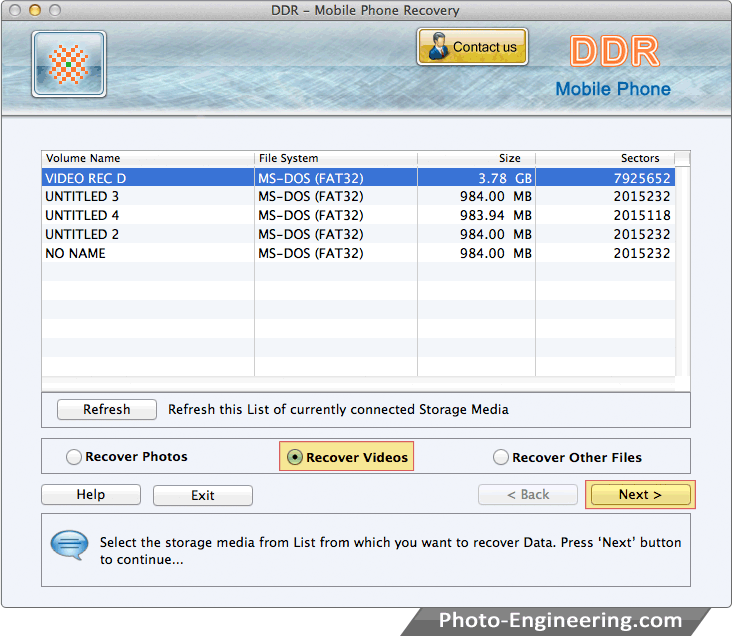 Select storage media from list from which you want to recover data. 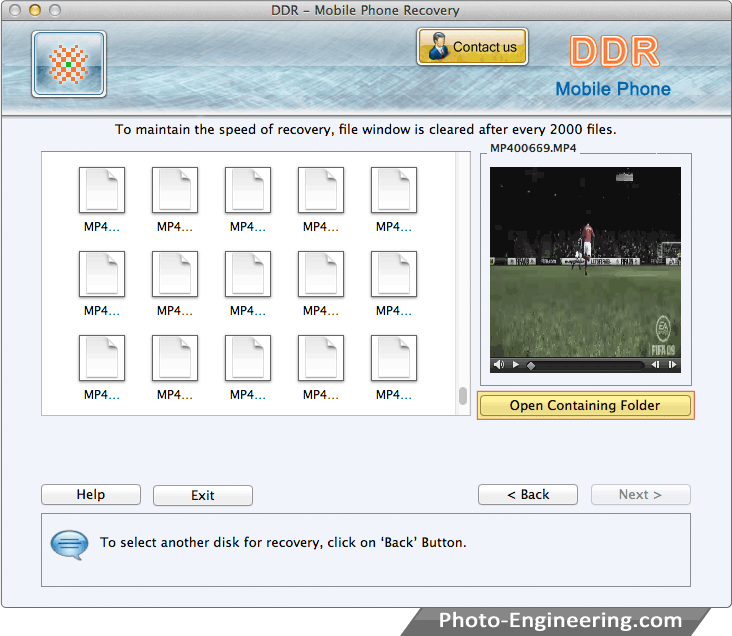 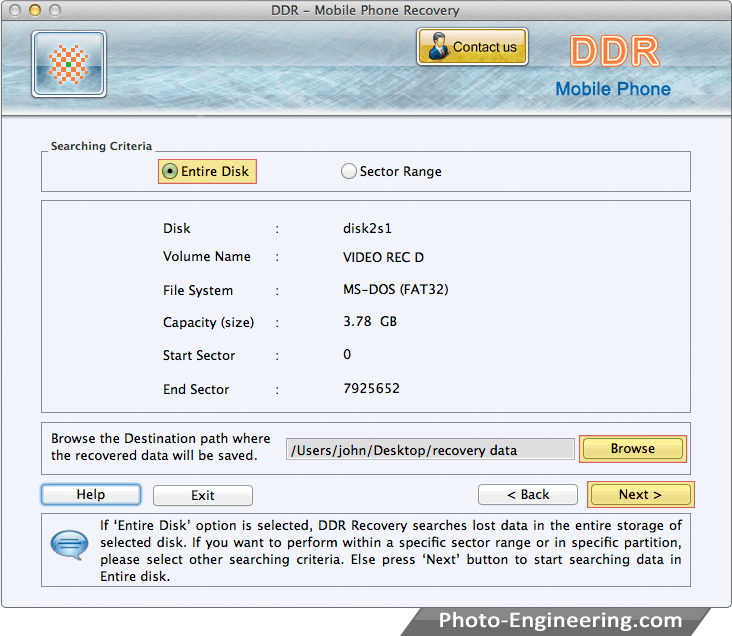 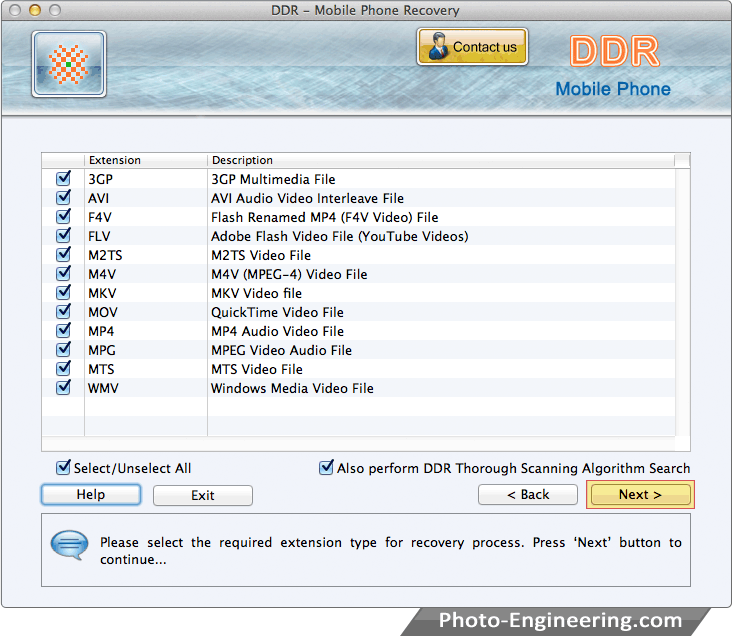 Browse the destination path where the recovered data will be saved by DDR - Digital Camera Recovery. Perform disk scanning using DDR Thorough Scanning Procedure to search lost files.